You will be proud to give this beautiful handmade pewter Baby's First Christmas photo ornament. A wonderful Christmas ornament to celebrate a new little ones First Christmas, our heirloom ornament is handcrafted in the USA and measures 2.5" x 3". It features a 2" x 1.5" photo opening for a special picture of baby. A red satin ribbon makes the ornament perfect for hanging on a sturdy tree branch, knob, ornament stand or other favorite place to remember baby's special year. The First Christmas photo gift is packaged with our sweet First Christmas poem by Teri Harrison. The poem card card be saved and treasured. 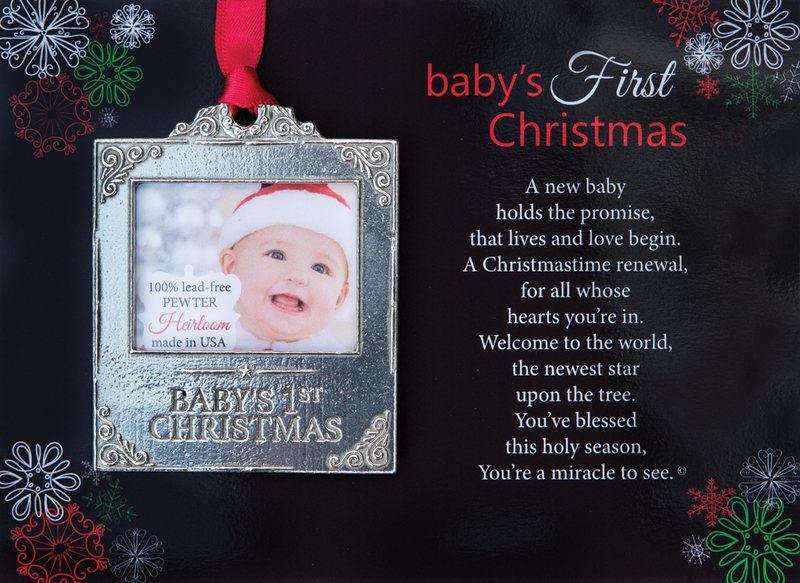 The ornament and poem are gift boxed in a 5.25 x 7.25 black box with a clear lid and make a wonderful, personal and complete Christmas gift for baby. The front of the ornament is engraved with classic detailing and is engraved with the passage, "Baby's 1st Christmas". The pewter ornament can be additionally engraved on the back for a truly memorable heirloom. 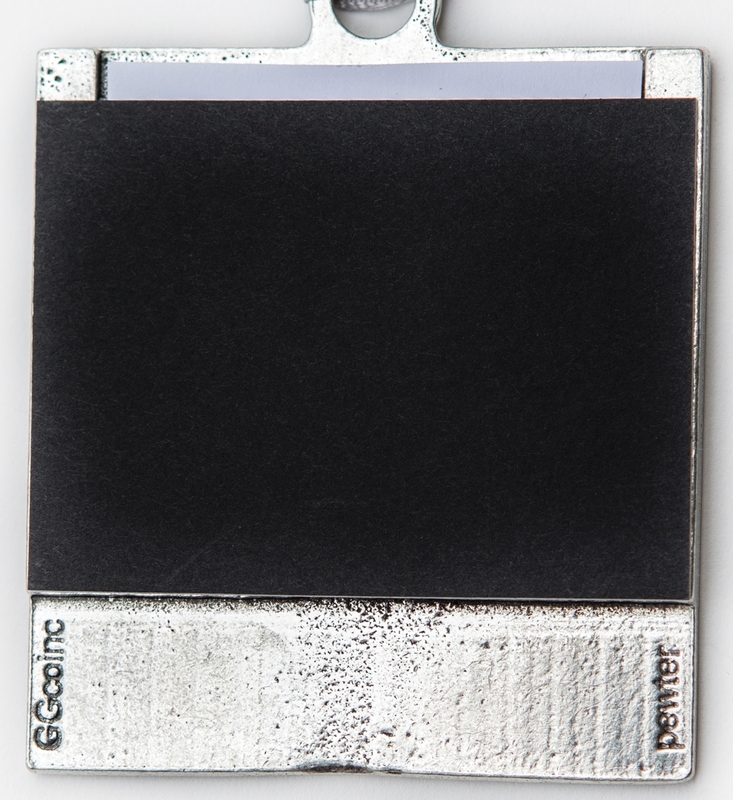 The engraving space is below the black backing as shown (we do not offer an engraving service).